THIS COMPETITION IS NOW CLOSED. PLEASE CLICK HERE FOR OUR LATEST OFFER! Win an incredible 8-day hiking adventure in Japan with Australia’s walking experts RAW Travel. Discover Japan on this fully guided walk with RAW Travel’s experienced local Japanese qualified guide. The ancient Nakasendo Way is a picturesque trail that was used by Japan’s Imperial warriors. This walk will take you on a journey steeped in history through the mountainous Kiso Valley. You will travel on ancient paved paths known as ishidatami, pass hidden waterfalls, walk through stunning cedar and cypress forests and discover numerous wayside shrines. 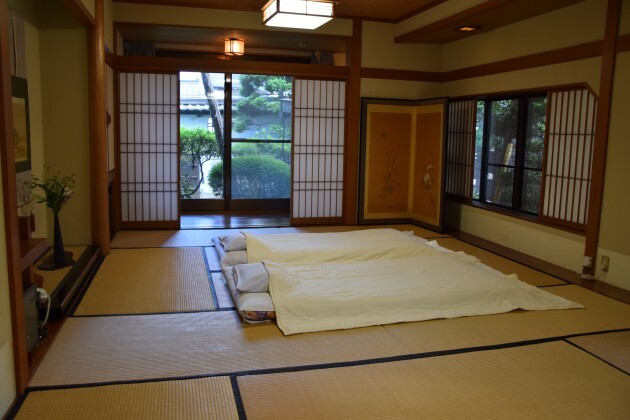 Stay overnight in traditional Japanese ryokans (inns). Enjoy the well-preserved ancient villages of Nakatsugawa, Magome, Tsumago, Ena, Kiso-Fukishima and Narai, and taste the local delights of the Kiso Valley and Gifu Prefecture. The average daily distance is a moderate 12–21km and there are gentle inclines that can be taken at a comfortable pace. It won’t push you to the edge of your physical limits, but it still offers a challenge. With private luggage transfers each day all you carry is your daypack. For more information on Walking the Nakasendo Way click here. Terms & Conditions: This competition is for Australian residents only and expires 31/01/2019. Trip dates are subject to availability. Flight carrier and accommodation in Japan is at the discretion of RAW Travel. Prize is non-transferable, cannot be redeemed for cash, and must be taken within 12 months of winner being notified. Winner will be announced in Great Walks.